Many clients come to me and ask about reviewing their supplements. As an herbalist I am obviously a proponent of supplementation. There are, however, reasons as to why I believe that over supplementation can be counterproductive. Number one on most clients’ minds is the expense incurred while taking supplements. If you are eating a balanced diet and are digesting and assimilating your nutrients, then minimal supplementation is usually the way to go. Having said that, this does not mean that you should eliminate supplements and herbs taken to support your health while dealing with a health concern, but it does mean that you should become aware of your nutritional needs rather than guessing and taking a bunch of pills. Number two on clients' minds is a concern about supplements interacting with each other or with medications. While herbs are generally safe when compared to prescription medications, and yes, over the counter medications, they are in fact medicinal and can have unwanted effects. They can interact with other herbs and medicines in ways that increase or diminish potencies and can therefore make the client feel unwell or heal at a slower rate than desired. There are many resources available for assuaging this valid concern. First, ask your practitioner before starting on a supplement, and second, consider doing a little research. Number three on client’s lists is a confusion regarding which supplements to take. They are often seeing more than one practitioner and are given supplements by each practitioner. 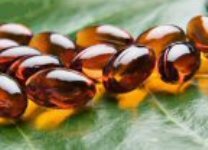 Those wanting desperately to heal blindly obey each practitioner’s recommendations and oftentimes spend vast amounts of money and time taking supplements that are duplications of each other or are simply overkill. Consider asking your practitioners to communicate with each other and then work together with you to devise a supplementation plan. 1. Food as medicine. As the old saying goes, “treat your food as medicine and your medicine as foods”. Early man was exposed to over 120,000 photochemical a day. These phytochemicals were obtained by the act of foraging, where man wandered around and ate what ever he could find. The chemicals obtained in this extremely varied diet played an active role in how genes expressed themselves and how the body was regulated. Some scientists believe that it had an affect on how we evolved, and phytochemicals have become a major area of study in the new science of epigenetics. It was also thought that through foraging we discovered which plants had positive and negative effects on our bodies; in other words, the beginning of the art of medicine. We have adapted to eat foods, not pills. Consider eating as varied a diet as possible to obtain as many different phytochemicals as possible. If you need help, consider hiring a wellness coach/nutritionist to help you. 2. Read your supplement labels. Oftentimes supplements are a combination of vitamins and herbs. This combination is usually designed by an herbalist to maximize the synergy between vitamins and herbs. If you are taking multiple supplements that are repetitive in their ingredients, then it stands to reason that the intended synergy has been skewed and ultimately the supplementation becomes at least ineffective and at worst detrimental. 3. Know your individual therapeutic dosages. We are all unique organisms with unique requirements. Your practitioner will usually do testing to see what your requirements are. If they haven’t, consider asking them. As you supplement with a nutrient dense diet, your requirements for nutritional supplements should decrease over time as you obtain a more balanced system. However, if you have a metabolic condition or absorption problem it could make you chronically deficient in particular nutrients, and your requirements will need to be monitored with your practitioner. I often see clients take a supplement for years when in fact it has already served its purpose. I also see clients that take mega doses of vitamins and herbs believing that more is always better. This is not true. If we take more than is needed then our bodies will work very hard to excrete what we do not need. In the case of fat soluble vitamins or herbs that contain alkaloids, tannins or terpenes, these mega doses can in fact be toxic. 4. Stay in control of your care. Your body belongs to you- as does your wellness. While your practitioners are working hard to help you, they cannot begin to know what you are experiencing and how different supplements and medications may affect you. It is imperative that you work in a collaborative manner with your practitioner. You have hired them as a consultant; do not fall into the western belief that they now own your health. Be honest with them; tell them your concerns and experiences. Expect them to listen and return the favor! 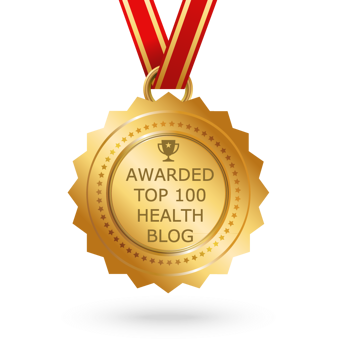 I look forward to answering more of your health questions in future blogs. Please bear in mind that while I try to provide information, I may also express opinions. I do not ask you to agree with them, but hope that they will challenge you to think. Darryl Yeagley MA, is a master's level wellness coach with a focus on herbalism. He assists people to plan and reach their goals for health, career, personal growth, money, and relationships in a way that honors their unique value and journey.